When I was on maternity leave, Baby E and I spent alot of time watching Ina Garten on her Food Network showm Barefoot Contessa. I find her to be a fantastic teacher of technique and just love her “style” of cooking — the best ingredients, seasoned and prepared simply. I love, love, love her show and I read her cookbooks cover to cover. After leaving a career I felt I was “good at”, it was an adjustment to be home and not feel that same kind of “accomplishment” with my new job. (Yes, Mom, I know that being a Mommy is an accomplishment too… 🙂 ). And after watching every single episode of her show I could DVR, I began to learn alot and was able to cook some pretty exciting things. It meant the world to me to have a new skill that I could work to master. 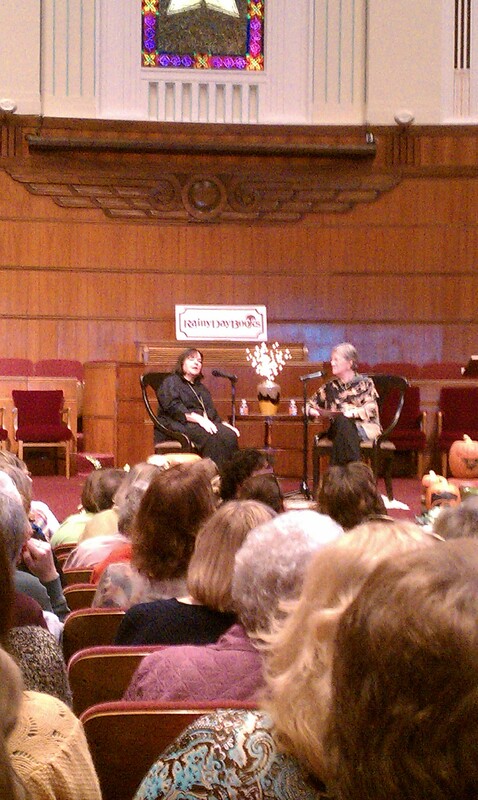 So, when a local bookstore announced that Ina Garten was coming to town to speak about her new book, I WENT NUTS! Thankfully, I bought my ticket early, because the event sold out early. And today, my sweet, sweet husband took the day off to stay home with baby, so I could attend the Q&A session. And it was so much fun! She was friendly and charming, and very interesting and helpful with her responses. 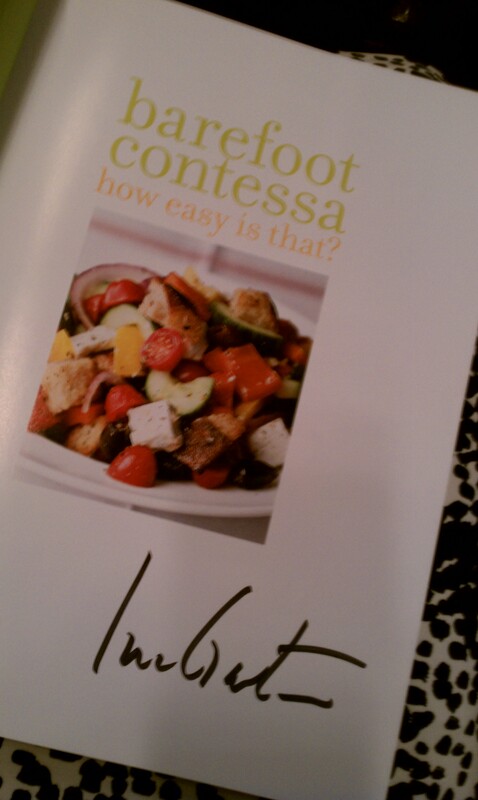 I walked away with an autographed copy of her new book, and renewed excitement about dinner.